It's the End of the World! What a Buzz Kill! 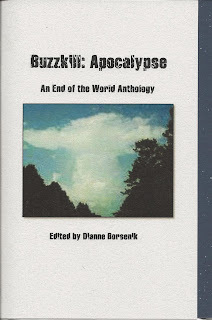 Dianne Borsenik just edited an anthology of end-of-the-world poetry, Buzzkill: Apocalypse, which just came out as a chapbook from Night Ballet press. Night Ballet is the new kid on the block in the way of Cleveland-area poetry presses, establishing a presence with a series of broadsides, and now branching out into collections. This is their first, but likely not last!, theme collection. My theory is that the Mayans are simply going to turn over to the next page of their calendar... but, ever since Frost (heck, probably Milton), the end of the world has been subject to poetry. So check out Buzzkill-- ten bucks will get you a copy. It's the end of the world! 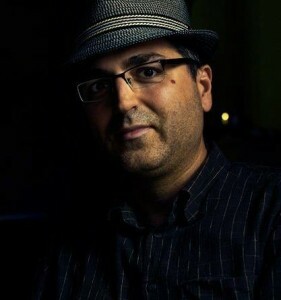 Milenko (Miles) Budimir will be reading this Friday, June 29th at Gypsy Beans & Baking Co. (6425 Detroit Ave, Cleveland, Ohio 44102) as part of the Shoreway Poets Open Mic roughly after 6:30 p.m.
A lot of work went into his recently released chapbook Departures (as well as the open mic.) He will be reading from the collection with copies currently available at the event, the above link and Mac's Backs in Coventry. The topic of poetry contests, their fees and what a poet receives for a specific fee, is one that it often discussed in the poetry community (here and here on our own blog as examples). However, these contests are not the only ones available to the poetry community. For example, the Science Fiction Poetry Association is currently offering a free contest with a $50 prize plus publication in three different categories. Check out the details here. Locally, and more immediately, the Writing Knights Grand Tournament is a FREE contest with both a book prize and chapbook prize for winners. Local poets who have a book or chapbook manuscript ready to go and looking for a publisher should check out the contest here. 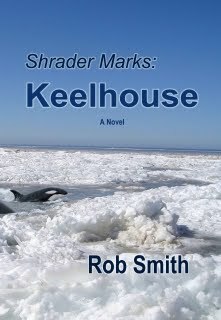 Rumor has it there are very few entries--many less than expected--this year, so odds are good for publication. What other contests are folks submitting to? How do folks feel about contests with fees or negligible fees? How about contests that guarantee a prize of sorts? Grace Curtis talks about tension in poetry. "I proposed as descriptive of that achievement, the term tension. 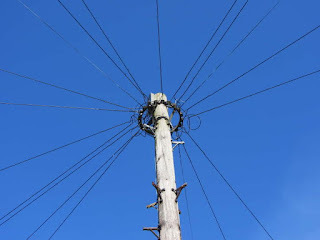 I am using the term not as a general metaphor, but as a special one, derived from lopping the prefixes off the logical terms extension and intension. What I am saying, of course, is that the meaning of poetry is its 'tension,' the full organized body of all the extension and intension that we can find in it." Does poetry need tension? Is tension merely extension and intension, without the ex-in? Discuss! 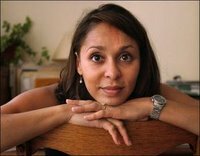 So, we now have a new US poet laureate, Natasha Trethewey. Comments, anybody? According to the Mercury News, she is "the nation's first poet laureate to hail from the South since the initial one—Robert Penn Warren—was named by the Library of Congress in 1986."